CWB Chicago: Man Accused Of Threatening Boystown Massacre Is Accidentally Freed; How Did It Happen? Man Accused Of Threatening Boystown Massacre Is Accidentally Freed; How Did It Happen? 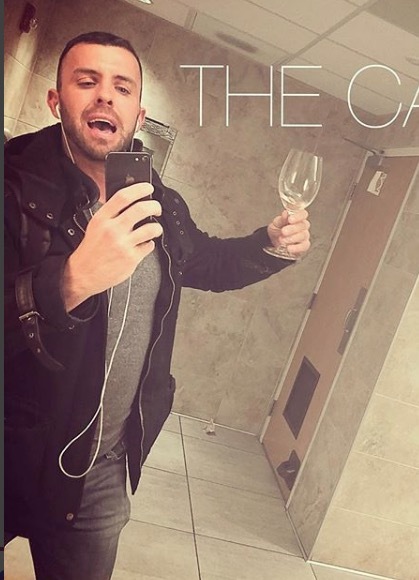 Two major developments unfolded Wednesday evening in the case of Shane Sleeper, a 31-year-old man who was accused in February of threatening to bring a Pulse Nightclub-like mass murder to Chicago’s Boystown. Less than an hour later, Chicago police confirmed that Sleeper had been erroneously released by the Cook County Sheriff’s Office on Tuesday and that authorities were actively searching for him. 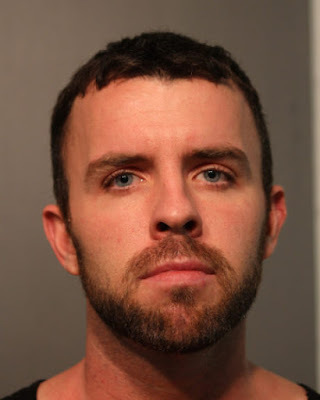 On February 3, Sleeper was arrested near Halsted and Waveland for allegedly “making a shooting gesture” at a manager of Sidetrack, a bar located at 3349 North Halsted. He was charged with assault and released on a recognizance bond. Then, on February 20, cops went to Sleeper’s apartment building in the 3500 block of North Lake Shore Drive to arrest him for a series of outstanding warrants related to other alleged threats. Sleeper was taken into custody after a short foot chase, according to police records. In court, prosecutors said Sleeper threatened a mass shooting at Sidetrack, promising that "Orlando will come to Chicago,” a reference to the Pulse Nightclub shooting that killed 49 people in June 2016. With bail set at $300,000, Sleeper sat in jail until a routine court appearance on Tuesday morning. In court on Tuesday morning, prosecutors dropped the two misdemeanor cases that Sleeper had been held on and introduced ten “true bills” from a grand jury that charged Sleeper with much more serious crimes: two felony counts of terrorism-false threat; two felony counts of hate crime; two felony counts of stalking; seven felony counts of harassment-threatening to kill; three felony counts of repeated harassment-threatening to kill; felony impersonation of a peace officer; felony impersonation of an attorney; and misdemeanor counts of assault, electronic harassment-threat; phone harassment; repeated phone harassment; criminal trespass; and two counts of misdemeanor electronic harassment-obscene proposition. Prosecutors said that on two separate nights in January, Sleeper stood outside of Sidetrack and made shooting gestures with his hand at the bar manager. On the second night, Sleeper allegedly sent a message to the manager saying that “the next mass shooting is a reality,” “guns will be had,” and the manager would be among the dead. Sleeper pleaded not guilty to every charge. Judge Matthew Coghlan ordered him to undergo a behavioral clinic exam. Then, Coghlan ordered Sleeper to be held without bail on both of the terrorism and hate crime cases. Bail was set at $100,000 in seven of the other cases. Bail for the final case was set at $25,000. Read more about Tuesday’s court appearance here. Just after 8 p.m. last night, Chicago police confirmed that they were on the hunt for Sleeper. “We are partnering with the Cook County Sheriff's Office in locating the offender,” a CPD spokesman said, while offering no further comment. “We are actively working with the Chicago Police Department to locate this defendant and are confident he will be apprehended,” Smith said. Smith told CWBChicago in an email that court clerk records “[did not] reflect that he was indicted on felony charges on Tuesday.” But on Wednesday morning a CWB reporter doing routine research work took photographs of court clerk files that showed Sleeper being charged with 26 counts in ten cases and being ordered held without bail on Tuesday. Taking photographs of court records is a standard protocol for CWBChicago reporters and editors. Smith checked in with the sheriff’s office’s records division. Within minutes, she provided images from an internal system called “Passport” that court clerks use to record case information. The “Passport” files showed the clerk’s notifications about bail and the grand jury indictments were dated Wednesday—the day after Sleeper was released—instead of Tuesday when he was ordered held. There are indications that prosecutors’ decision to drop the two misdemeanor cases that Sleeper had been jailed on and then replace them with ten new cases created a gap that Sleeper managed to walk right through. “If we had been notified of the indictments he would not have been released,” Smith said. Sleeper is white, 5’11” tall and weighs 185 pounds, police said on Wednesday. Sleeper’s last known home address was at 3550 North Lake Shore Drive. During a request for lower bail in March, Sleeper told Judge Anthony Calabrese that he had a friend in Andersonville who had offered him shelter. His request for lowered bail was denied. Police asked anyone with information about Sleeper’s whereabouts to call 911. • Prosecutors: Man Threatened Mass Shooting In Boystown — "Orlando Will Come To Chicago"